At Capture Components, developers of ccScan, we are committed to providing high quality, reliable document scanning and capture software at a reasonable cost. Our mission is to offer easy to use and productive software products to capture, classify and store information. Our products include software components and applications to collect and manage document images, photos, text, metadata and graphics. ccScan products offer a quality, innovative, inexpensive, comprehensive solution to your information management needs. Our products capture or collect digital information such as scanned images of paper documents or existing document images and electronic documents. The capture process includes document collection and preparation, scanning or importing, image processing or enhancement mostly done by today’s new technology scanners, indexing or document identification, processing such as Barcode recognitions, OCR to Searchable PDF, OCR to index with target data determined by Regular Expressions or Annotation/Redaction and document storage. 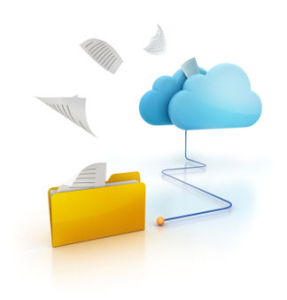 Captured information is saved in a storage location – a repository or content management system – for subsequent management, retrieval or archiving. Our product line includes ccScan for an expanding list of Cloud providers and ccScan for File Systems for local and network file systems. The principals of Capture Components, LLC each have more than twenty years experience in the document management, scanning, classification and storage industry. We have created numerous document capture and management applications during our tenure in small to medium-sized technology related businesses. Our products benefit from our broad range of technology application and software development experience in fields such as real time industrial control systems, data acquisition systems, high speed, redundant data switching technology and business application development. Clark co-founded Capture Components after 18 years of experience in the document imaging field. The many hats he wears include managing technical aspects of the company including ccScan® software development, overseeing customer support as well as corporate business activities. Previously Clark filled the role of Technical Director in a California based imaging company. During his tenure he transformed it from selling boxed scanners to offering fully integrated content management systems and custom scanning and document capture solutions. He is also the creator of Fileflo®, a pioneering application which garnered a reputation for its fast document capture, indexing, storage and retrieval capabilities. Peter cofounded ccScan after many years of passionate experience with developing document capture products. His key responsibilities are in software architecture. As the main developer at ccScan he is highly proficient with web services and internals of the diverse range of Cloud systems which ccScan integrates with. Each system is stand alone and requires in depth understanding of the proprietary technologies involved and their individual strengths and limitations. His technical expertise in CRM systems and contributions to innovation have earned him the prestigious Salesforce Certified Advanced Developer credential. With 20 years of experience in the imaging field Monte is focused on solutions to seemingly impossible problems. His products expertise was honed around the San Francisco Bay area at such industry heavyweights as IKON Office Solutions, Newcal Industries and Canon Business Solutions. His deep understanding of end user needs and challenges is an invaluable asset in ccScan product evolution. His methodology is based on putting people and processes before technology, and developing the optimal solutions for any user environment and challenge. Monte’s sales skills have earned him a place in the prestigious “President’s Club“ position for over a decade.